I actually have no idea how many people read The 4-Hour Work Week and then start a business that gives them the freedom to sell their junk and travel as in Life Nomadic, then return to crush being rich while winning things and getting people done. A third model of willpower is that willpower works like a muscle only if you believe it does. If you think that resisting a cookie will make you slack off later, then you’re more likely to eat the cookie in hopes of saving willpower for working later, or to slack off if you’ve already done well by resisting the cookie. If you don’t believe in willpower as an exhaustible resource, then the cookie has no effect on slacking off. In this case, you don’t generate the excuses which sap willpower. If we can muster it, willpower makes up for insufficient motivation by consciously imposing values on our decisions. 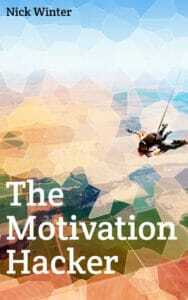 The motivation hacker plans to always have excess motivation. If willpower comes into play—if it’s hard for her to resist a cookie or focus on work or wake up for a run—then this is a sign that she needs to do more motivation hacking or goal adjustment until that discipline isn’t needed. The one tip that I have is that if you can’t bring yourself to commit to a goal now, then try picking a date far enough in the future that it’s not as scary and commit to starting then. Then in the meantime, talk yourself into it. When you know you’re going to succeed, motivation abounds. When you think you might not be able to accomplish a goal, then motivation suffers. To start building your success spirals, first make a tiny, achievable goal that you can’t forget to do. Setting a reminder for yourself helps. Then, track your success doing this goal. (Eventually, the tracking system you develop can be the reminder for goals in any arbitrary success spirals you’re working on.) You don’t have to shoot for 100% daily adherence, but you should have a definite cutoff, like 95%. Your goal also needs a completion date. You can’t succeed at doing something forever, even if it’s easy; eventually, life changes. You can avoid candy for one month, or keep the dishes clean for two months, or meditate every day for two weeks, but then the goal should be completed. You can always re-up your success spiral on that goal if you’re still interested, or make it harder or easier. Often, though, your interests will move on, and you don’t want to be stuck doing something of low Value just to strengthen your Expectancy. Self help usually doesn’t work. You flit from book to blog to friendly tip, idly trying to improve and sometimes making a decent effort on some strategy that sounds exciting. When these attempts fail, you lose a little Expectancy that the next attempt will work. Chew through enough self-help advice without swallowing and soon you’ll be sustaining yourself only on the fleeting taste of inspiration, fantasizing success in place of pursuing it. Losing Expectancy is a slow process, because your brain is good at defending yourself: • The Slow Carb diet worked for a month, so I could probably do it again but for real this time. • The Autopilot Schedule just doesn’t work for me. • As soon as work is less crazy, I’ll definitely get in shape. • I’ll use a better tool to block reddit next time. • I’ll try harder at making friends when I switch jobs. • My friend told me about this dating book which was much better than The Game, so I’ll do that next time. These rationalizations dilute the impact of failures, and they dilute future efforts, since you can always find a reason why it wasn’t your fault and another thing to half-try next time. Precommitment, also known as using a commitment device, is a versatile set of tools for increasing motivation in almost any situation. To precommit is to choose now to limit your options later, preventing yourself from making the wrong choice in the face of temptation. Publicly announcing your goal is a common form of precommitment. Hyperbolic discounting makes it easier to commit the further in advance you do it, and you also want to avoid the habit of putting off commitment (as Chloe always tells me). If you can’t do something now, then set a specific time at which you will decide to either do it then or to never do it. And so there was Beeminder. Beeminder is a web service which lets you set arbitrary process-based goals and then holds you to them with all the reasonableness and firmness of your best friend who wants to see you succeed but won’t take any more of your crap. Read more and try it out at http://www.beeminder.com. It’s almost always better than naive goal tracking methods that only assess success or failure at the end, and it’s free until you fail the second time. Startup maven Paul Graham has an excellent essay about the acceleration of addictiveness in which he argues that to live a good life, one must become ever more eccentric in terms of saying no to the explosion of things that are designed to addict us, many of which are now delivered via the internet. Whether you’re hooked on Facebook, email, news, your blog comments, cute kitten pictures, Words with Friends, YouTube, or even reading Wikipedia, it’s harder to focus when a quick hit is right there on your computer or your phone. Do something about it, whether it’s keeping your phone in airplane mode until 5pm, or turning off your laptop’s WiFi at all times except 11:00 − 11:30 am and 8:00 − 9:00 pm. Or maybe it’s even having a separate computer with no internet connection in your home office and going over there to work. Even if you can resist these distractions while you’re trying to focus, why would you want to have to?